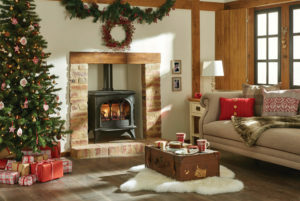 It may be cold outside but on Saturday 24th November and every Saturday in December, why not come and join us for our Christmas Open House events to celebrate the opening of our cosy new showroom. Indulge in mince pies, tea and coffee whilst beating the cold with a welcome warm up by our live displays of beautiful wood burning stoves. With top quality and super efficient stoves from the best of Scandinavian and British makers you are sure to find the perfect ‘heart’ for your home. As Christmas is fast approaching we have a wealth of festive gift ideas . . . from beautiful willow log baskets of all shapes and sizes to a great range of companion sets and fabulous fire-guards. We also stock a range of stove-top fans boasting silent running and using ingenious technology using only the heat from your stove to generate their power and increase heat flow around your home. 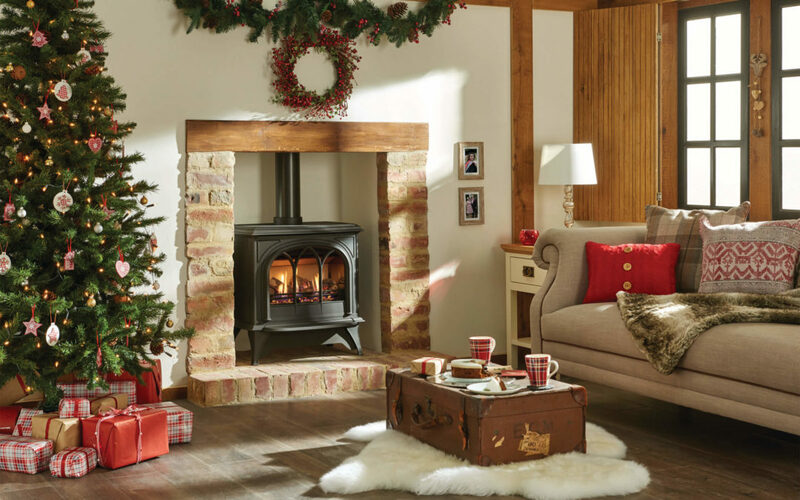 By popular demand, we have also expanded our range of electric stoves with cutting edge technology to give you all the charm of a traditional wood-burning stove with plug-in-and-go and remote control ease which can be with you before Christmas. Whatever your fire needs we are here to help with free quotations and excellent aftersales support. Pop in and see us Monday 10am – 3pm, Tuesday, Wednesday, Thursday and Friday 9am – 5pm and Saturday 9am – 4pm. Out of hours appointments available on request.